The classic journal and firsthand account of one of the most disastrous military battles of the American frontier. On July 17, 1866, two soldiers and six wagoners were killed by Sioux Indians. In the next two weeks, fourteen more men died in Sioux attacks. The attacks continued through the summer and fall. On December 21, disaster struck. Recklessly pursuing Indians across a wooded ridge, Brevet Lieutenant Colonel William Fetterman and his company fell into an ambush. It was the worst military blunder of the Indian Wars before the Battle of the Little Bighorn ten years later. Margaret Irvin Carrington, like many officers’ wives, kept a journal of her stay in the outposts of the West. She recorded her impressions of the scenery and the inhabitants of Absaraka, in present-day Wyoming, Montana, and the western Dakotas. As the wife of the commander of Fort Phil Kearny, Colonel Henry B. Carrington, she experienced the sequence of events and the heightening of tensions that led to that bloody December day. She could not have known that her journal would come to such a shocking climax, with her husband’s career at stake. 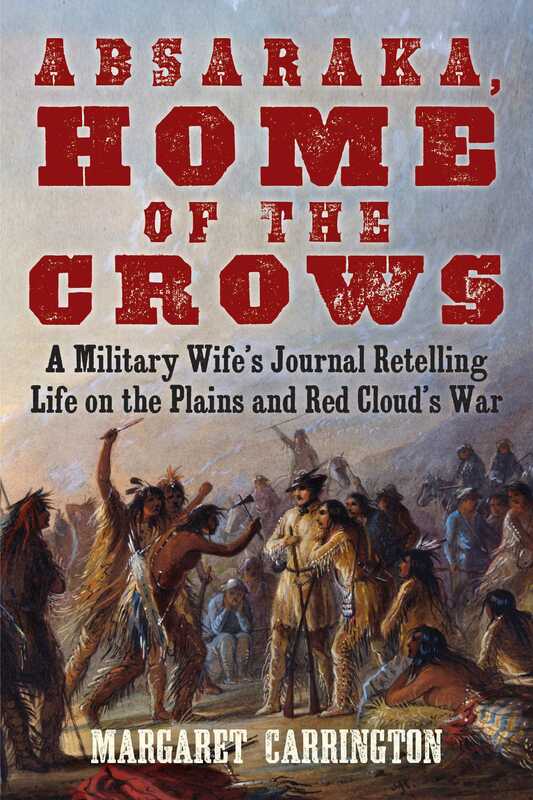 Today, her journal has been reprinted several times over to present this exciting, eye-opening view into life on the plains as the wife of an officer. "The narrative is written in a very agreeable style [...] of interest to those who would discuss the first peopling of Americaa question which will long continue to occupy the attention of our men of thought and research."